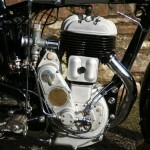 Restored 1935 Sunbeam Lion Motorcycle. 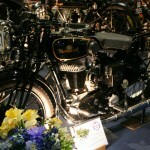 This show winning Sunbeam was fully restored by its owner with no expense spared. The engine was fully rebuilt. The cylinder was bored to +020. The gearbox was checked and assembled by a well know Sunbeam expert. All of the chrome parts were re-chromed. The speedo was fully rebuilt. The magneto and dynamo were rebuilt. 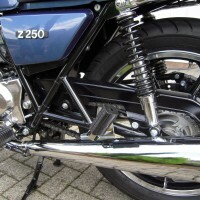 The brake linings were renewed. The wheels were rebuilt with new bearings. 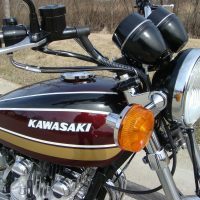 All of the paintwork was finished in high gloss paint. 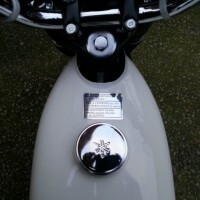 The gold lining on the tank and the transfers were lacquered. 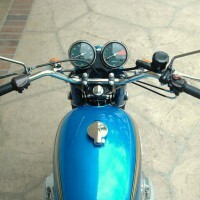 The original brass Lucas headlight was used with the reflector re-silvered. 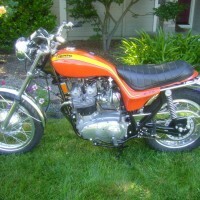 Only three unoriginal items were used, the ammeter, the fuel tap and the Lucas MT 110 tail light. 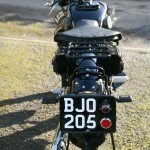 An excellent restored Sunbeam Lion Motorcycle. 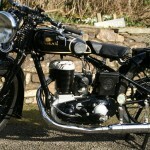 Sunbeam Lion – 1935 For Sale or Wanted? 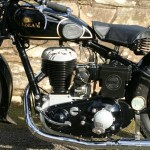 If you're looking for the perfect Sunbeam Lion – 1935 for sale then take a look at the hundreds of restored classic motorcycles listed on our extensive Motorcycles For Sale pages. 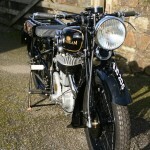 We regularly feature very nice restored Sunbeam Lion – 1935 bikes for sale. Spares and Parts for your Sunbeam Lion – 1935? Workshop Manual for your Sunbeam Lion – 1935?